John and Charles Anglin have built an institutional / industrial size TLUD for pasteurization at their Paramount Dairy in Uganda. 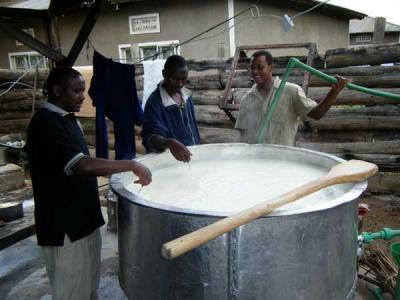 Their 2-page report with 4 photos describes and shows the TLUD and the 450 liter milk-vat. The fuel is papyrus reeds. This report is about a "work-in-progress," and they have given permission to post it to the Stoves Website. The Anglin's can be reached via the Stoves Listserv.